I finished my exams on the 14th of May. After a rough couple of weeks of studying I was finished with my sophomore year. I had another week to explore and see some of Ireland before heading out. I went to Cork, and to the Blarney Stone, next I went to Glendalough and later did a day trip to Connemara. All of these trips and sights were incredible to see. Months later and I am still mind blown by the beauty of this island. Looking back , this semester was everything I had hoped for and more. I met a lot of amazing people and new friends an really got to experience Ireland and many other countries in Europe. I leave for Greece on Sunday with my mom. Including that trip, in the past 5 months I will have been to 10 different countries and over 25 different cities through out Ireland and the rest of Europe. This past semester still doesn't seem real, almost if it was a dream. I saw so much history and learned more than I ever expected about my self and Europe. Forever thankful for this time abroad. I can not believe it is nearly May, wow time has flown by this semester. Seems like I was just arriving! This is the last week of classes, next week we have a week off for studying and then exams start. All my finals are worth 60% of my overall grade, terrifying for a poor test taker like me. I recently went to Geneva, Switzerland. It was beautiful! I loved it. I got very unlucky with the weather as it was cloudy and raining the entire weekend. Blocked my view of the alps but it was still a great weekend. This weekend I am going to Sligo, on the west coast of Ireland and then coming back to Dublin before leaving for Prague. Should be great! I am traveling by myself for the first time but I think it should be pretty easy. Very weird that I only have a month left! Have to say I am missing the states a bit but still loving it here. This week my parents have arrived in Dublin! They landed on Saturday and we hit the ground running, exploring Dublin. 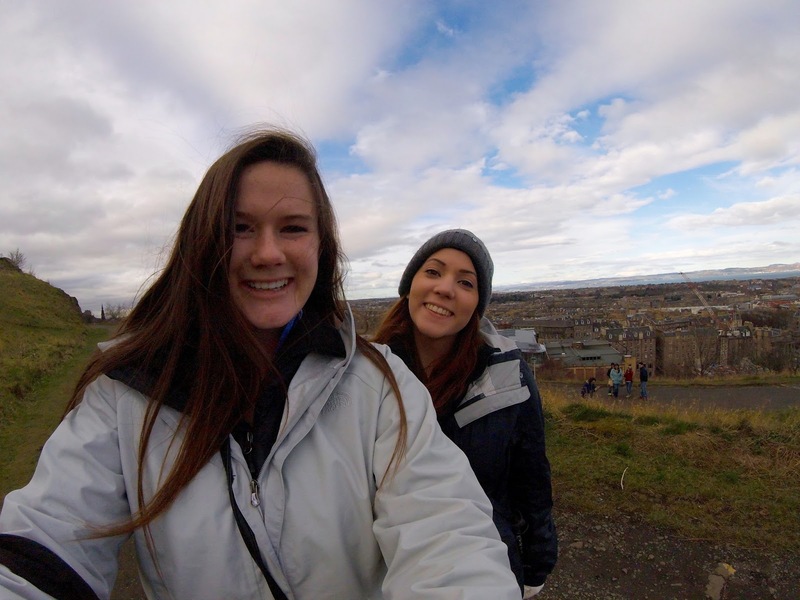 We did a hop on hop off tour, and even did an Irish music pub crawl. It was great fun and we had a blast. It was so weird to think I had not seen them since christmas break, oh how I missed them. After an awesome weekend they headed up to Belfast and I will later meet them in Galway. A teammate of mine from back home is also visiting, we've had a great time the past few days, and yes I am managing to go to class as well. Classes are wrapping up at the end of the month with exams in May. I have a few more trips planned but i'm sure before I know it I will be home for the summer! Dublin gets more amazing everyday, I think I could stay. After three days in London, two back in Dublin, six in Italy, and three in Paris, I am back to reality and classes. Both countries were mind blowing. I had such a great time and love every minute of it. Especially the food. I do not need pasta any time soon thats for sure. I really enjoyed Paris, there was a ton to do and it was beautiful. Seeing the view from the Eiffel Tower at night was breath taking. 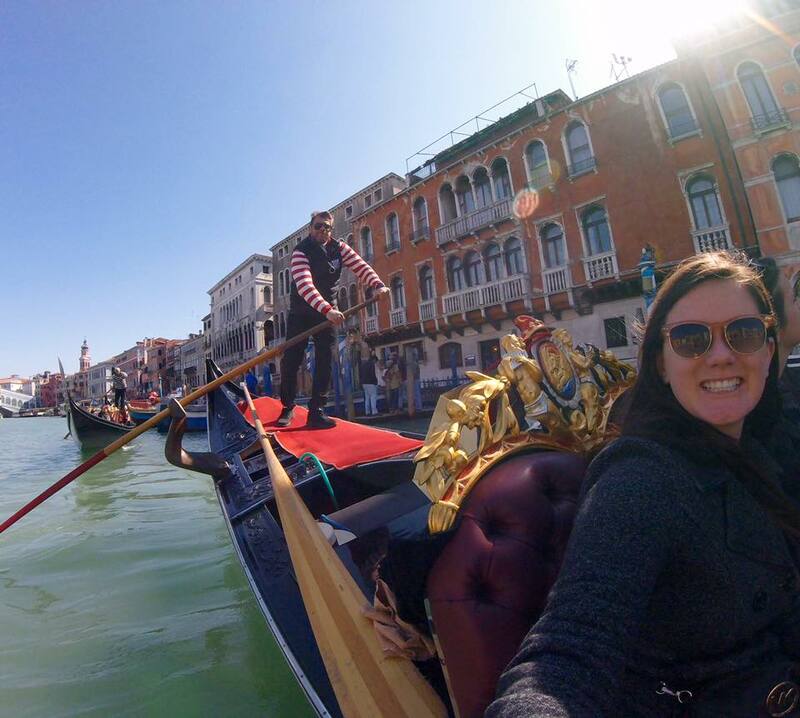 I am so grateful I had the opportunity to see so many wonderful places and to travel with such awesome friends. Now I am back to essays and studying but it seems the semester is going by faster than ever! My parents will be here in just over a week, I am so excited to see them!! Dublin is finally starting to warm up and I really enjoying the blue skies. Seems like just yesterday I was arriving for the semester! My best friend came into Dublin on Sunday and then we headed to London for a few days! London was spectacular, very busy and fast paced. We returned to Dublin just a few hours ago in preparation for Saint Patrick's Day. The day will begin at 8am as we venture into tour to see the parade and festivities. All of city center is already swarming with people and tourists, which I no longer consider myself. I am loving Dublin more and more everyday! Time is really flying by. It is crazy how time is flying by! Last weekend I went to Belfast with a large group from Arcadia University. 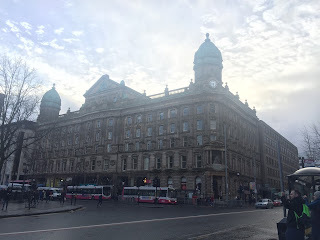 We took a bus up on Friday and went to the Titanic Museum. It was very interesting learning the history of it and ship building process that took place in Belfast. On Saturday we headed to Giant's Causeway. 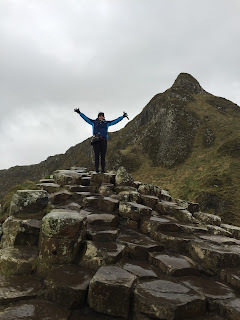 This was my favorite part of the trip, although it was rainy and cold I had a great time climbing around the rocks and enjoying the coast of Northern Ireland. Later in the day we wondered around city center and checked out some of the major historical buildings such as the city hall building. 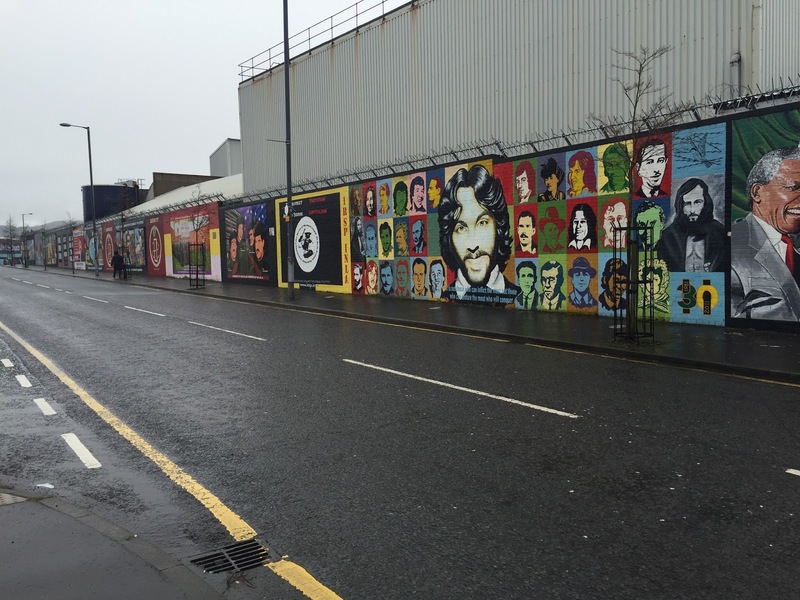 Sunday we had a lecture on the troubles and war history of northern Ireland followed by a bus tour. 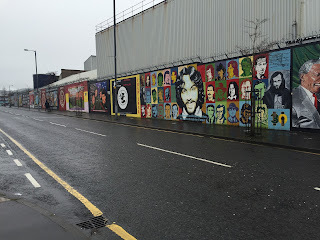 On the bus tour one the most interesting things was the peace walls. Separating the Catholic neighborhoods from the Protestant walls, these massive structures stretch all along the suburbs of Belfast and are incredible to see. Academically Midterms are coming up and I have many papers to write. So far school has not been too bad but now it's really starting to kick in. With soccer multiple times a week and six classes I have a lot going on! I head to Berlin, Germany tomorrow to see the Berlin wall and Sachsenhausen, a concentration camp right outside of Berlin and more. Can't wait for more adventures. Things have been crazy here in Dublin! Last weekend I did a homestay weekend in Gorey, Ireland. I spent the weekend with a family of four in a small town outside of Dublin. It was fantastic to see how an Irish family lives and spend time with them. There was two little boys in the family, ages two and four. The family was so kind and took me all over town and fed me for every meal. I realized that weekend family life here in Ireland is similar to families in America. We ate a full Irish breakfast, watched cartoons with the kids, and went to the beach on Saturday. On Sunday we went to Mass and did a little shopping and then I headed back to Dublin! After another week of classes and soccer practice I stayed in Dublin for the weekend. I spent my time visiting the Dublin Castle, Saint Patrick's Cathedral, Christ's Church and a small farmer's market over the past weekend. All of the buildings and sights were absolutely stunning. I love going into the city and exploring Dublin. There is always something to do. Upcoming trips include a weekend in Belfast, Northern Ireland, followed by a long weekend in Berlin, Germany.